In the summer of 2012, Steve Jenkins was contacted by an old friend about adopting a micro piglet. Though he knew his partner Derek wouldn't be enthusiastic, he agreed to take the adorable little pig anyway, thinking he could care for her himself. Little did he know, that decision would change his and Derek's lives forever. 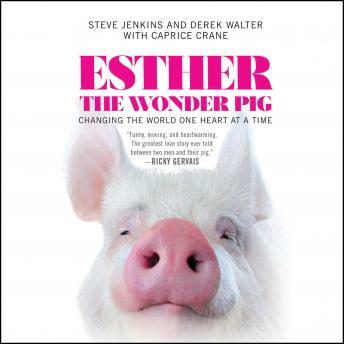 Funny, heartwarming, and utterly charming, ESTHER THE WONDER PIG follows Steve and Derek's adventure--from reluctant pig parents to farm-owning advocates for animals. I really love how the story is narrated, it gets to my heart. I can feel when he gets emotional and I cry when he does, because I feel his emotions too. This is a wonderful book full of laughter! It's very well written and engaging. I love Esther!